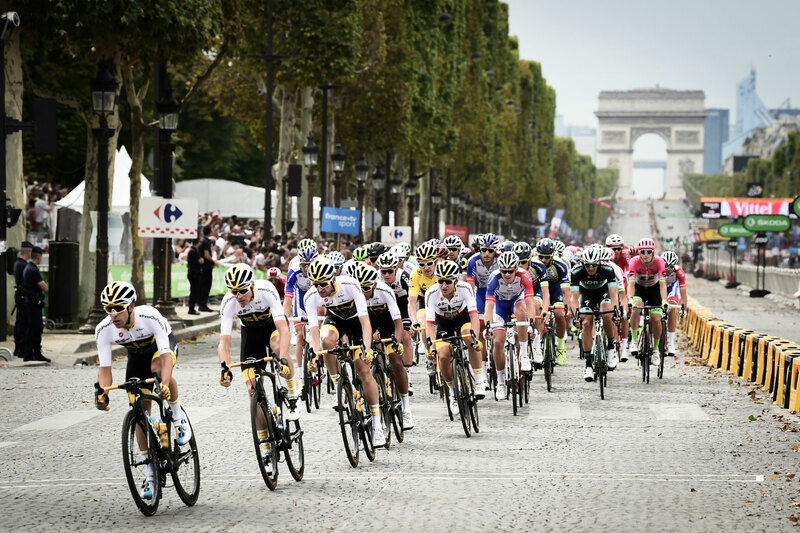 It may have looked like a repeat of last year's success for Team Sky as the Tour de France rolled into Paris for the annual final stage finish set against the magnificent backdrop of the Champs Elysées on July 29, but appearances can be deceptive. The winner of the world's biggest bike race, the Tour de France, was once again using high-tech tires made by Continental as he crossed the finish line at the end of the three-week race around France. 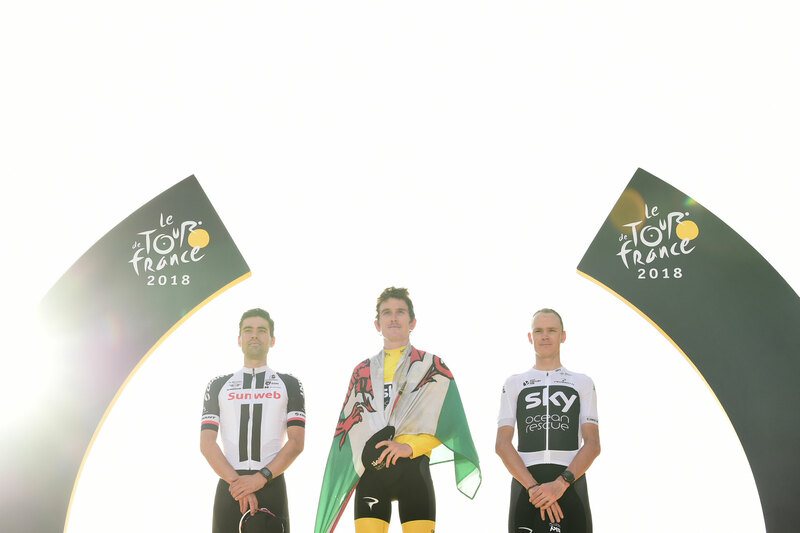 After Chris Froome's four wins for Team Sky (2013, 2015-2017), this year's Tour de France saw his British teammate Geraint Thomas standing on the top step of the podium. The Welsh rider celebrated his first victory in the "Tour of suffering", having defended his race leader's yellow jersey with the support of his team after he took the lead as the race entered the Alps, and worn it all the way to the final "lap of honour" through the streets of Paris. 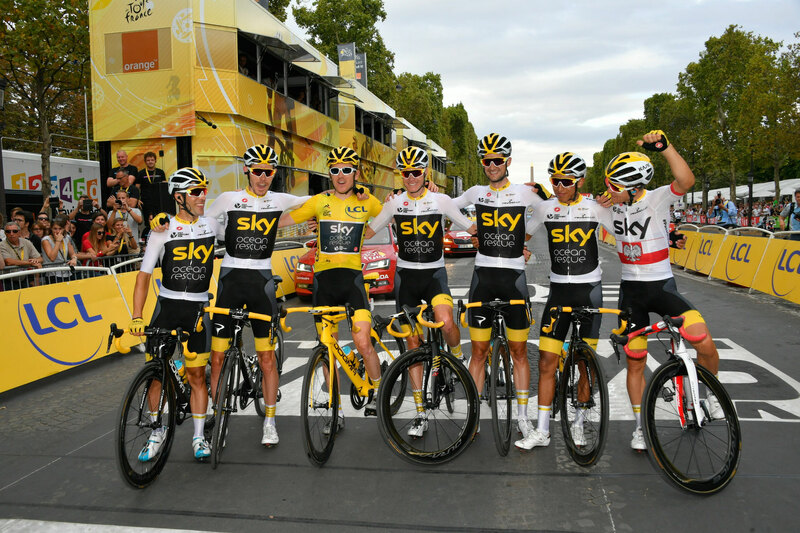 With last year’s winner Froome finishing in third place overall, and with Team Sky's dominant performance making them seem almost like a guard of honour for their two protected riders throughout the Tour's entire three and a half thousand kilometers, team boss Dave Brailsford had much to smile about in Paris. And once again, the range of handmade tires provided by Continental for the high-tech bikes ridden by these elite cyclists played a large part in the race win going to a Team Sky rider. The riders spent more than 85 hours in the saddle over the past three weeks, with just two rest days between the thrilling sprint finishes, constant attacks and breakaway groups, endless climbs over the mountains of the Alps and the Pyrenees, and lonely battles against the clock in the time trial. Cycling is one of the hardest and most dangerous sports around, with the risk of a fall or crash never far away. Which is why Continental have an ongoing program of research, development and equipment testing, to ensure that Continental products are always up to the challenge. But le Tour wasn't just about the British team. Seven out of the 22 teams that set off from the Vendée on July 7 for the 21-stage race opted to use handmade Continental tires, produced by the master craftsmen at their specialist workshop in the German town of Korbach. They included Spanish Movistar team, who took a trident approach to the Tour by fielding three world-class riders in their efforts to win the race, along with the Bahrain Merida, Katusha Alpecin, Groupama-FDJ, AG2R and Dimension Data teams. And each of those teams helped write the script as the 105th Tour de France unfolded, a constantly moving spectacle involving 176 competitors and three weeks of action. But this three-week long open-air sporting festival is not just about finding the overall winner. There are plenty of other prizes for different categories, too. So as well as the famous maillot jaune, or yellow jersey, there is also a green jersey for the best sprinter, a red and white polka dot jersey for the best climber, and a white jersey for the best young rider under 25. There is also a prize for the best team, and the most aggressive rider each day is awarded a special combativity prize. And once again, Continental products demonstrated there is more to them than simply high performance over long distances. The experts and tire specialists in Korbach again developed special tires to cope with the conditions and challenges of this year's Tour. Stage nine presented some very particular challenges, featuring over 22 kilometers of cobbled sections on the way to the stage finish in Roubaix. But the team mechanics also need to carry spare wheels on their car roofracks during routine stages, fitted with different tires in case the weather suddenly changes. Time trials also call for special tires that are selected to suit the road conditions, both for individual time trials and for team time trials. So each team receives a stock of several hundred tires from Continental before they start the long journey to Paris each July, ready to tackle any sort of conditions or terrain. With Geraint Thomas taking overall victory, Chris Froome in third place, France's Romain Bardet (AG2R) in sixth place, Spain's Mikel Landa (Movistar) in seventh, Russia's Ilnur Zakarin (Katusha Alpecin) in ninth place and Columbia's Nairo Quintana (Movistar) in tenth place, the top ten on General Classification featured six Continental riders when the Tour de France finished in Paris on Sunday. A glowing endorsement for the quality and durability of the high-tech tires made in Korbach! Bahrain Merida's Italian rider, Domenico Pozzovivo, rounded out the top twenty, also riding on Continental tires. The French Groupama-FDJ team's best-placed rider was David Gaudu, in 34th place overall. Dutch rider Tom-Jelte Slagter was highest finisher for Dimension Data, in 59th position. But simply looking at where a rider finishes on general classification misses the point. Many riders put in heroic efforts to struggle determinedly on with the race after crashing, or whilst fighting off a bug, or simply having a bad day and suffering the dreaded empty legs in the mountains, battling to finish the stage within the time limit and to stay in the Tour. For Continental riders, the best young rider competition for riders under 25 was particularly interesting this year. These are the future stars, the next generation of general classification riders. They tend not to be sprinters, and they are able to hold their own in the mountains – the sort of riders that the teams groom for future success. This was another competition where the talented athletes riding for the seven Continental teams were well represented. 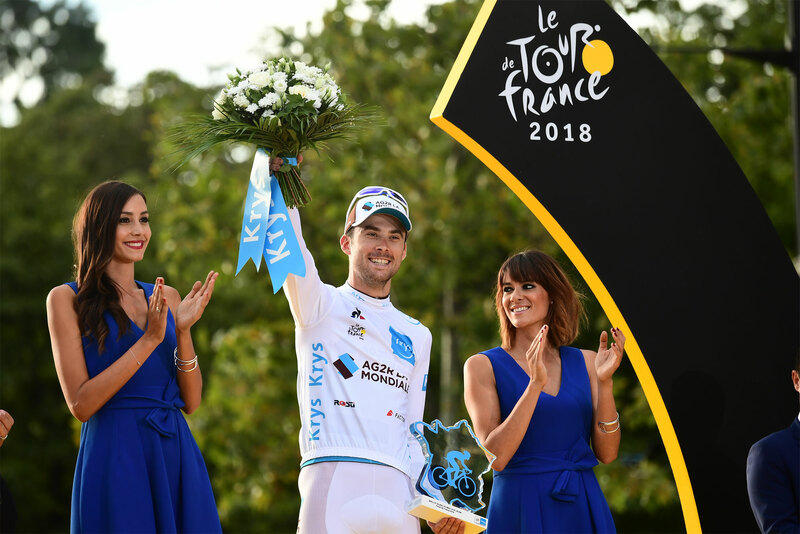 France's Pierre Latour (24), riding for AG2R La Mondiale, won the maillot blanc, the white jersey for the best young rider in this year's Tour. Runner-up in the white jersey competition was Columbia's Egan Bernal, riding for Team Sky, a climber who many are already talking about as a future Tour de France winner. Groupama FDJ's young French rider David Gauda is another young pro with a bright future ahead of him, and he took fourth place in the under 25 competition. So this 105th Tour de France was another triumph for teams riding on Continental tires and for their best riders, at every level.